It’s not smart buildings – but any commercial building built or have renovated in the past 30 years that you should worry about. Episode 224: ControlTalk NOW — Smart Buildings VideoCast|PodCast for Week Ending May 7, 2017 features interviews with Leroy Walden, President and Chief Consultant, Highrose Consultants; Fred Gordy, Director of Cyber Security, Intelligent Buildings; and Ken Sinclair, owner and editor of Automated Buildings. 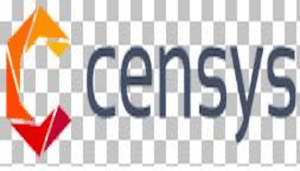 Also in Episode 224: 2017 CGNA Synergy Conference highlights; EasyIO’s Global Event update and the 9-video EasyIO Training Video series is now available; 2017 Haystack Connect starts May 8th; and much more! A Note to the Smart Buildings Controls Industry. This just in from Lynxspring’s Marc Petock: Lynxspring is pleased to announce that we will be demonstrating our latest edge-to-enterprise and IoT solutions at Haystack Connect 2017. 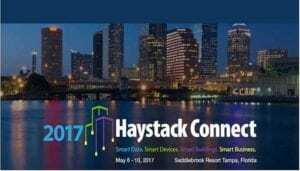 The biennial Conference of the Project Haystack Organization is being held this year at the Saddlebrook Resort Tampa, May 8 through May 10, 2017. These solutions will be demonstrated in Lynxspring’s Booth # E11. 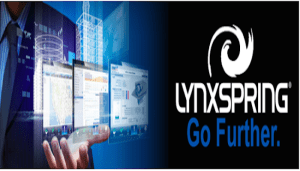 Lynxspring is a founding member and holds a seat on the Board of Directors of Project Haystack, and is a Sponsor of the Haystack Connect 2017 Conference. 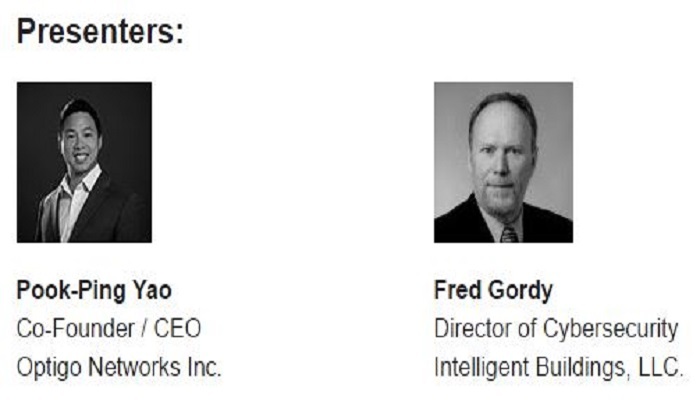 ControlTrends takes a deep-dive into CyberSecurity with our interview with two top industry experts, Leroy Walden, President and Chief Consultant, Highrose Consultants and Fred Gordy, Director of Cyber Security, Intelligent Buildings. 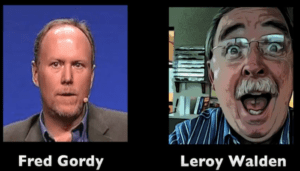 Listen in, as Leroy and Fred advise the ControlTrends Community about attending industry events that are real opportunities to get up-to-speed with threat assessment, risks, and best practices — to deal effectively with the cyber terrorism. Both experts caution that the liability to safeguard networks is being shifted onto the shoulders of the system integrator integrating the building automation system into the network. Be sure to contact Leroy Walden at (lcwalden256@gmail.com) — to take advantage of Leroy’s $100.00 discount for the 2017 Realcomm|IBcon Conference and Smart Buildings Integrator Summit, June 13th-15th in San Diego, CA. 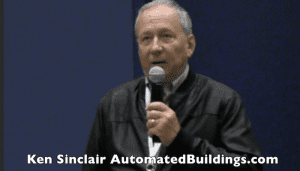 Ken Sinclair’s Automated Buildings May, 2017 Theme: Our second interview is with Automated Buildings owner and editor, Ken Sinclair, who discusses the many IoT challenges and trends facing our industry along with his May theme, “The Uberization of Comfort, Satisfaction, and Wellbeing.” “Occupant self-love” continues to improve its presence and functionality — integrating itself more readily into our building automation industry with a host of IoT applications that input the human whereabouts — and its condition, into the building network of things. 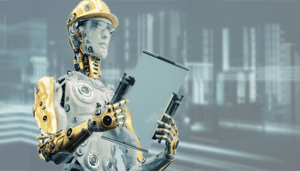 Click here to read another great edition of Automated Buildings. 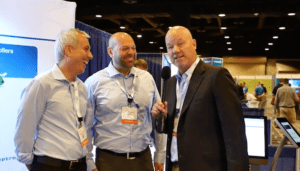 ControlTrends Interview with ACI’s Barry Gordon at the 2017 CGNA Synergy Conference. 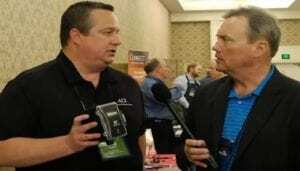 ControlTrends had the opportunity to visit with Barry Gordon, Senior Sales Engineer at ACI, who was excited to tell us about ACI’s new DLP Low Pressure Transmitter. The DLP Series is based on a piezoresistive, silicon sensing element which senses Differential Pressure and provides an analog output. The hinged cover on the DLP can be easily opened using the integrated locking tab on the side of the enclosure. This allows for easy access to the zero function and field selectable ranges and outputs. 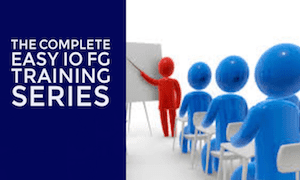 The Complete EASYIO FG Training Series. 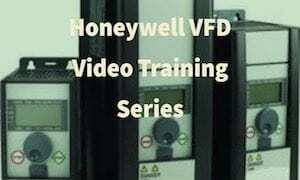 In this 9 part video training course, Mike Marston shows you everything you need to know to get up and running with one of the most powerful controllers in Smart Building controls — the EASYIO FG controller. Learn how to program the controller, and create graphics and analytics. Click here to go to the EASYIO FG Training Course.Great job Mike! The EasyIO Global Partner Event agenda has been set with the following speakers: David Kipling, vice president of Jabil Circuit Inc. (US), Andrius Jasiulionis, automation engineer of Helgevold Electro (Norway), Jason Briggs, CEO of J2 Innovations (US). And of course, key people from EasyIO will tell you all about where we are going as a company: Johan Schakenraad, President & CEO of EasyIO Europe B.V., Mike Marston, vice president of EasyIO Holdings Pte Ltd., Lim Hoon Chiat, CTO/R&D EasyIO Holdings Pte Ltd., and EasyIO Tech Team. But there’s more than just the conference: an informal pre-event gathering at the Hard Rock Café on Sunday evening May 21, dinner and awesome entertainment on Monday evening, May 22, and an exclusive VIP training for CPT Tools and EasyStack on Tuesday, May 23. Check out the full program. 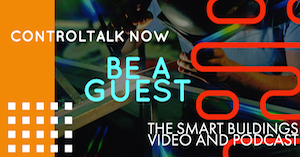 ControlTalk NOW — Smart Buildings VideoCast|Podcast will resume full video and podcast operations next week. Scheduling only allowed for a quick review of week ending October 2, 2016, which was another amazing week in our industry — featuring Echelon Corp’s Converged Controller; Tim Chamblee’s How to Measure Energy Webinar; Lynxspring’s JENEsys® Edge™ 100 New Universal Input Option; Fred Gordy’s Cyber Security review of exposed BBMDs; ControlTrends People Episode 5, with Ed Merwin; and Ken Sinclair’s October edition of Automated Buildings. Echelon Corp. Delivers First-Of-Its-Kind Converged Controller For Buildings, Lighting And Other IoT Applications Press Release. SANTA CLARA, Calif.–(BUSINESS WIRE)–Echelon Corp., a leading independent control networking company for the Industrial Internet of Things (IIoT), today announced the availability of a first-of-its-kind converged controller for building automation, lighting controls and Internet of Things applications combined with power line communication meshing capability. Live Rewind: How to Measure Energy in Smart Buildings. 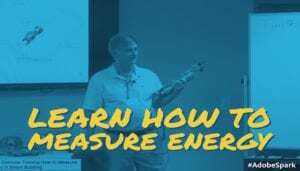 Stromquist & Company’s Tim Chamblee, who is also one of the best trainers in the HVAC industry, breaks down the different ways to measure energy in smart buildings in this replay of a live stream training. 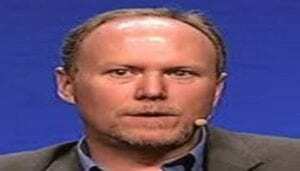 Video does not actually start until about 10 minutes in, so be sure to skip forward. 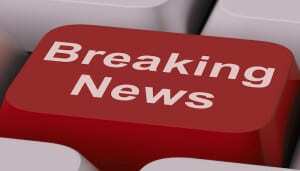 New Universal Input Option for the JENEsys® Edge™ 100 Now Available. 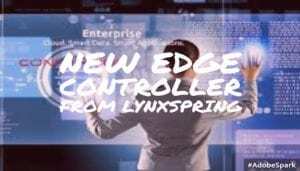 The JENEsys® Edge™ 100 is our new generation of controllers combining Lynxspring’s Onyxx® platform with the Niagara Framework® and its programming tools and the Fox Protocol to facilitate communication between Niagara stations and software for control and analytics managed at the edge. 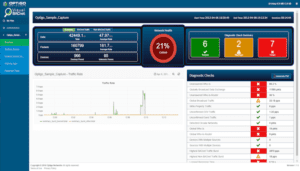 Fred Gordy’s Cyber Security Review of Publicly Exposed Control System BBMD – No Login Required! There are free tools readily available to anyone that can not only scan BACnet networks, it gives the user the ability make changes to individual control points, set schedules, review logs, view alarms and acknowledge, and turn your BACnet devices into “bricks.” The first thing I found was the ease of use of this program. In order to scan the network all I needed was one BBMD. CTP 005 ControlTrends People Explores the Life and Times of Ed Merwin. 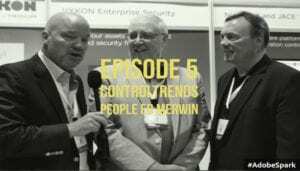 On episode 5 of ControlTrends People we take a deep dive into the life and times of one of the greats in our industry, Ed Merwin, the Director, Vykon Automation Energy Security at Tridium. Ed is credited by many, including us, as being one of the reasons Tridium and open platforms exist today. Ed, one of the great communicators in our industry, shares his early history including how he got into the business. Like all great people, Ed has had many mentors through his life. Ken Sinclair’s Automated Buildings October Theme — When Evolution Turns to Revolution. In this October issue of Automated Buildings, Ken Sinclair, owner and editor, delves deeper into the impacts of IoT and self-machine learning, as well as the rapidity of change that is circling the building automation industry. 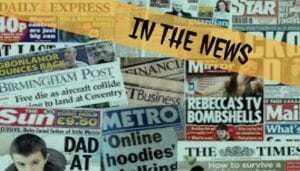 Is our industry preparing itself — at last for this explosive and disruptive evolution or will it get hit broadside? 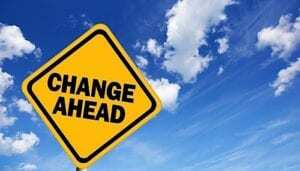 If you still need convincing that major changes are afoot, be sure to review the attention-getters and direct links to Ken’s references and articles. 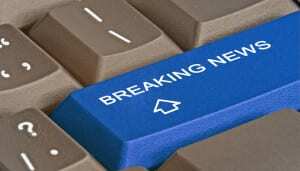 6 million commercial buildings in the US are believed to be secure. Every single one has exposed building controllers, security cameras and access control systems that an entry level hacker can hack into. 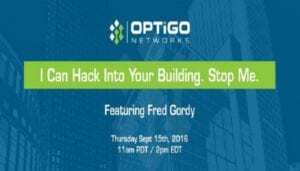 Join Fred Gordy, Director of Cyber Security at Intelligent Buildings, and Ping Yao, CEO of Optigo Networks as they discuss the incredible vulnerabilities in our buildings’ systems, and what to do about it. If you are responsible for operational systems using open protocols such as BACnet & ONVIF, you won’t want to miss this webinar. We will discuss how easy it is to hack into many of the building systems, and more importantly, what are some of the basic steps that can and should be used to protect them. Thanks to our friend, Fred Gordy, we got to participate in an eye opening event.Stromquist & Company had the privilege of hosting the Atlanta Cyber Security meet up. The speaker, Doug Wylie, CISSP VP Product Marketing & Strategy at NexDefense was amazing. Doug explains several different types of cyber attacks and breaks down blow by blow two major cyber attacks on control systems that caused major disruptions. If you are interested in joining a cyber security meet up group on your area please let us know in comments and we will connect you. 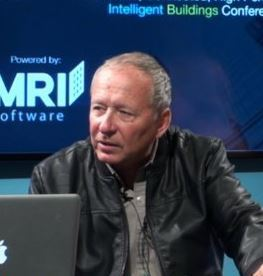 ControlTalk NOW — Smart Buildings VideoCast for week ending June 12, 2016 features a rather deep and dark Cyber Security update from Fred Gordy, and an enlightening interview with Automated Buildings’ Ken Sinclair discussing his June edition; next, a look at new technology with Cisco’s Digital Ceiling and Optigo Networks’ solution to eliminate BACnet complexity; Lynxspring and SkyFoundry offer a combo webinar on Data and Analytics; Functional Devices released a pre-enclosed panel; and don’t miss out on Neptronic’s special product sample offering — available through ControlTrends! Cisco’s Digital Ceiling WILL Change the Way You Do Smart Building Controls. Building Automation Systems Integrators, meet your new BAS partner — Cisco. That’s right, Cisco. Cisco just might be your new front end, and the ceiling in the building you are working in, right now, might be your new junction box to the future. The lighting world is evolving from the analog world to the digital world and soon, those lights connected to the network, not just for a data path, but also for power, will have temperature, occupancy, and daylight harvesting sensors in them — that will finally bridge the gap between building automation and connected lighting control. ControlTalk NOW Interview with Ken Sinclair, owner and editor of Automated Buildings. Always an informative experience, Ken Sinclair reviews Automated Buildings’ June theme of Measured Variables; Health, Wellbeing, & Productivity. More insight into HVAC by engineers and HVAC by Behavioral Experts that are driving the $3-$30-$300 metrics, and the realization that the most promising potential value lies in building wellness that leads to greater productivity, greater tenant retention, and less absenteeism. Also, understanding the benefit differences between digital ceilings versus the 24 VDC ceiling (Edison wins the current war after all, though Tesla has scheduled a return bout) and much more! 30 Minutes with Lynxspring Webinar Series — Data and Analytics by Lynxspring and SkyFoundry. 30 Minutes with Lynxspring Webinar Series Presents: Data and Analytics. The next “30 Minutes with Lynxspring,” our monthly webinar series featuring Lynxspring subject-matter experts and special guests, is scheduled for Wednesday, June 15th at 12:00 PM CDT. This month’s installment looks at Data and Analytics. Data and analytics are changing the way companies in EVERY industry do business and manage business. And yes, it is changing ours — it’s changing the way buildings and facilities are managed and operated. Optigo — The New Way to Cut through BACnet Complexity. As IoT continues to intersect with the Smart Buildings Controls Industry, more and more new players are showing up in our space with proven solutions that will work well in our applications. Ken and I had the chance to connect with just such a company, Optigo Networks. We had the privilege of speaking with their CEO Pook-Ping Yao. We were very impressed with Ping and his product solutions. Check out the video below to see the elegance and efficiency of the of the Optigo Connect network solution. 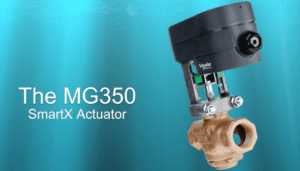 A Special Offer From Neptronic at the 2016 Niagara Summit. We had a chance to catch up with Biagio Delorenzio and Luis Melgares from Neptronic at the 2016 Niagara Summit. Great stuff from our innovative friends in Canada. As you can see in the video, the TUCB is a very flexible universal wall mount controller with built-in temperature sensor and scheduler. The unit is designed for simple and accurate control of a heat pump or other heating/cooling equipment. 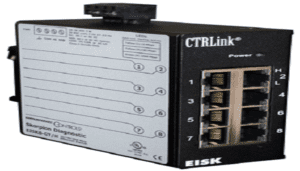 Its field configurable algorithms enable versatile implementation of required control sequences. but what is even more impressive is the new TRLG 24. The TRLG 24 takes al that is good about the TUCB and adds an on board humidity and CO2 sensor. Functional Devices — Innovation at the Panel Level. Nick Walker at the 2016 Niagara Summit Vendor Show. Functional Devices — Innovation at the Panel Level 2016 Niagara Summit Vendor Show. 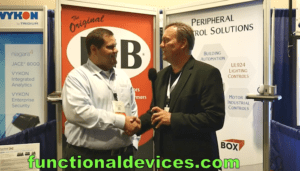 Nick Walker, Strategic Account Manager for Functional Devices walks the ControlTrends Community through the new MHP pre-enclosed enclosure series that features a 100 VA (or (2) 100 VA) transformers along with with a convenience outlet and a polymetal or perforated back drop. Functional Devices products are a contractors’ best friend — offering savings in installation time and money for all of your building automation projects.